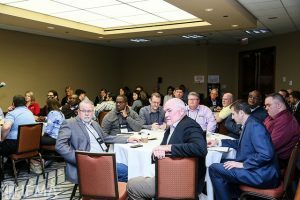 Become a visionary leader in facility management at Facility Fusion, the FM Leadership Event of the Year! What does it take to forge visionary FM leadership? 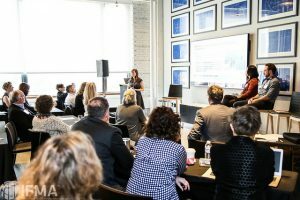 It requires the insight, foresight and imagination to not only excel at facility management in the broader built environment, but to inspire and encourage those around you to do the same. 1) Explore emerging technology and exciting high-tech FM applications. In session rooms and on the expo floor, this is where FM meets AI, and every hot tech trend in between! 2) Engage with thought leaders in facility management. Interact with professionals who are shaping the future of FM. Engage with solution providers who are shaping the future of the built environment. 3) Establish relationships with FM and other built environment professionals. 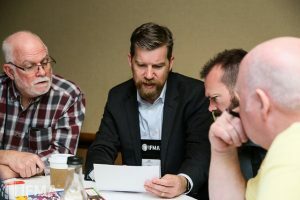 Whether you’ve been in FM for two months or 20 years, networking with colleagues is one of the most valuable ways to build your knowledge and forward your career. 4) Understand how FM fits into and enhances the broader built environment. Information in our industry can be overwhelming. Facility Fusion allows you to zero in on topics that matter to you and your organization. 5) Participate in the uniquely collaborative community of Facility Fusion. 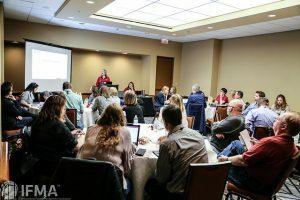 When you’re surrounded by other FM professionals, you realize others have faced the same challenges and have found solutions that can work for you!